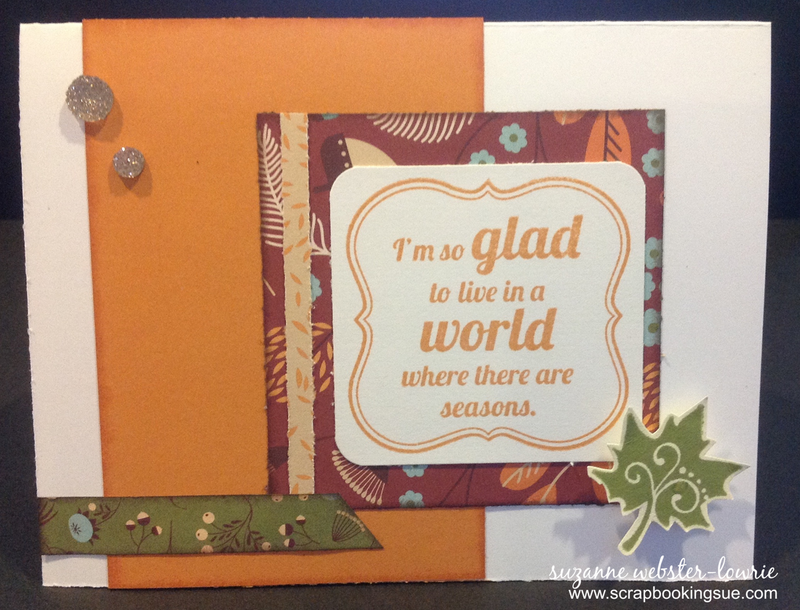 This 4.25″ x 5.5″ card was made with the papers and exclusive stamp set from the Pathfinding Workshops on the Go Scrapbooking Kit. Following the sketch from this week’s Mojo Monday Challenge #372, I started with a White Daisy cardstock base and then layered on the papers, following the sketch outline. All of the papers were inked around the edges for some depth. 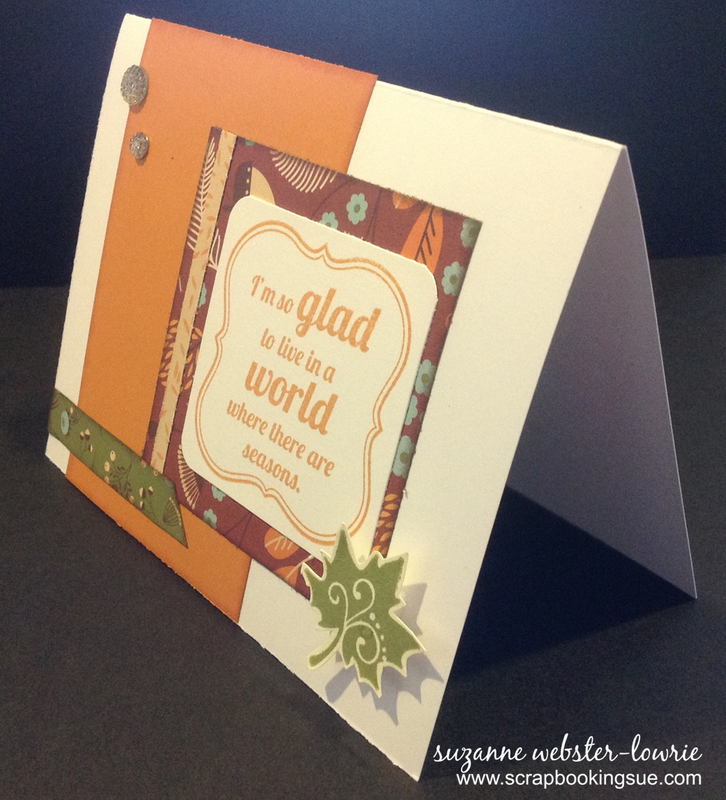 The Sentiment was stamped in Goldrush ink and the leaf was stamped in Olive ink, and then popped off the card with a piece of foam tape. To finish off the card, 2 Gold Bling Gems were added to the top left of the card for some sparkle and shine! 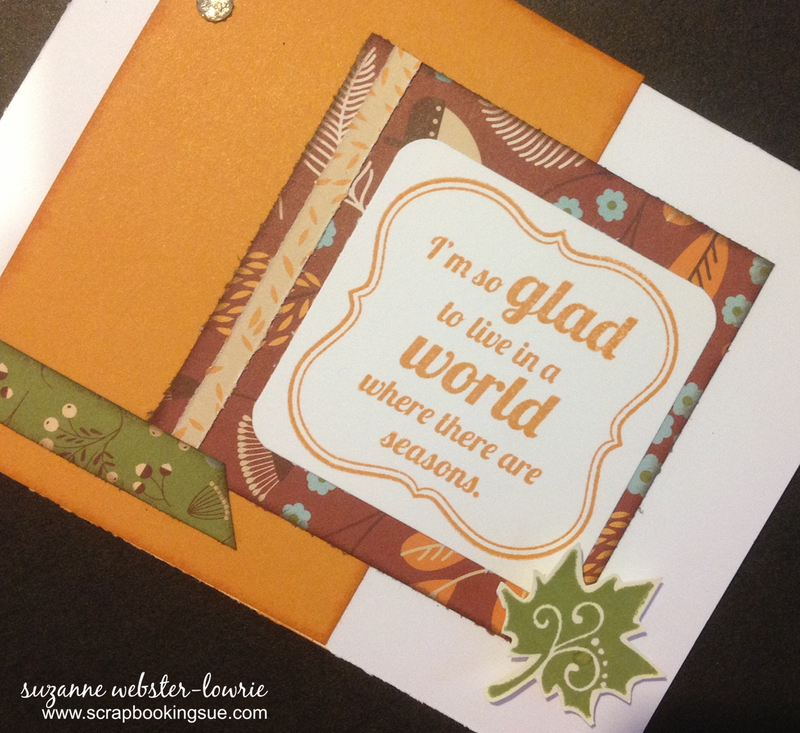 Such a beautiful autumn card! Thanks for playing along with Mojo Monday!